Online Custom Speech Editing Services. Various occasions require formal speeches. A good speech is written in advance to capture the moment. If writing your speech was challenging, the chances are that it is not right. It is also good to polish your speech even when writing was smooth so that it does contain unpleasant words when reading. 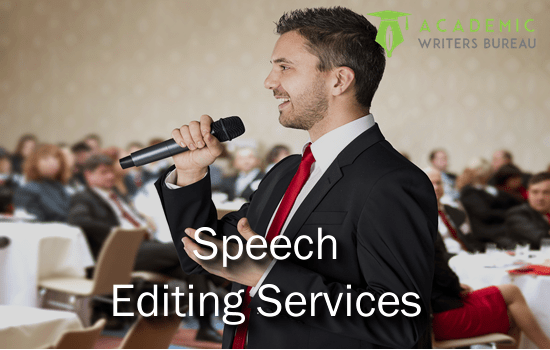 Academic Writers Bureau offers professional speech editing services to improve the content and quality of editing before the occasion. We have a team of professional speech editors who are also skilled writers. They understand the content that makes up a speech you can deliver with confidence, clarity, and style. We assign you an editor with skills and background knowledge in speeches for the occasion you will address. We are a custom service meaning that we tailor our editing to meet your needs. If you have a tight deadline or want to choose your editor, we can address these requirements. Our team of accomplished editors has much experience to enable them to meet your precise needs. At the end of the editing, you can refer to the changes they make to improve your skills in writing outstanding speeches for logical and structured presentation. Our online speech editing services involve thorough edit covering all areas of speech such as introduction to making it an attention getter. We also improve the relevance of the speech topic for a particular audience and increase their credibility. 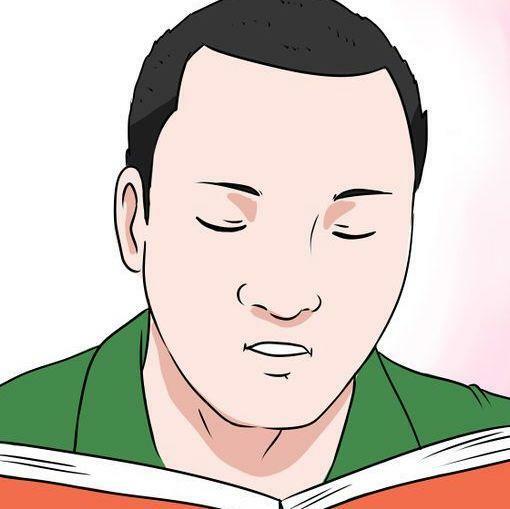 Your editor will also review the main points of the speech, transitions and the conclusions. Our editors have experience in editing a wide variety of speeches for presentation at social and corporate and official functions. They carefully read through the content to determine if it fits the context for the occasion where you plan to present it. All the editors are native English speakers thus will identify and amend any grammatical errors. AWB is selective when picking speech editors. We only assign editing to an editor who we are sure has proven ability to revise a speech for that subject. Our editors have years of experience in editing speeches thus they know what each type should have. We back each order with 100% satisfaction guarantee and offer free unlimited revisions to unsatisfied clients till we meet their needs. In need of an Abrupt Formal Outstanding Speech Editing Help? Our editors have experience in editing a wide variety of speeches for presentation at social and corporate and official functions. We are ready to work under your the specified time-frame and achieve beyond your expectations. We choose the most suited editor specializing in the subject of your speech. You will also view the profile of the editor to decide if this is the suitable person for your order. We operate 24/7 so you can place your order at your convenient time. What if I am not satisfied with my speech after editing? We will revise free and fix anything that makes you feel the editor did not accomplish. What is the cost of speech editing and payment procedure? The cost of, speech editing help varies according to the length of speech and preferred turnaround. You pay for speech editing via PayPal or with your credit card. My editors turned my graduation day to a concise and clear presentation. It helped me to finish the presentation in shorter time before anybody got bored. I was late in writing a business speech, and when I completed, it had many errors. I recommend AWB for fast editing that helped to correct errors and replacing ordinary words with statements that communicated what I wanted in the best way. AWB speech editing is methodical. It changed my wedding speech from a piece with jumbled up points to a well-organized presentation.